Politics make us dumber. Arguments are crafted not out of logic, but out of timeliness and necessity. 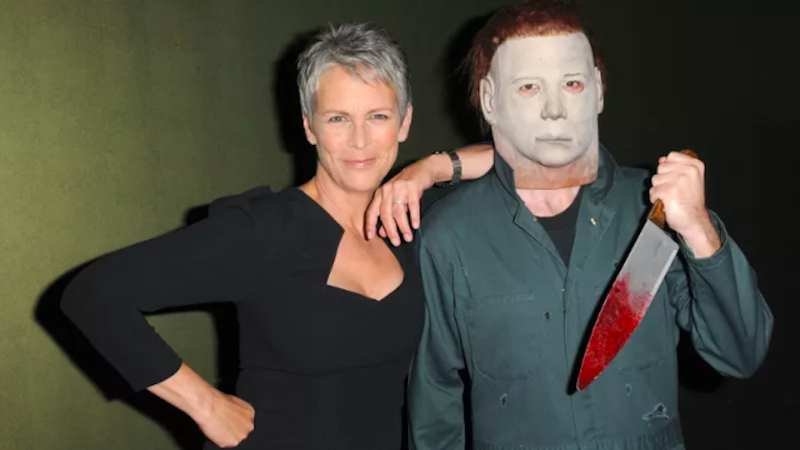 Fox News, for example, saw people excited about a new Halloween movie, so the goblins trawling its news room asked: “How can we use this to own the libs?” And so we end up with this: an article about how protagonist Laurie Strode uses a gun in the fictional world of the film, and how that’s hypocritical because the woman who plays her, Jamie Lee Curtis, would like to see stricter gun laws in the real world. The article seems to assert its point by pointing out how Curtis holds a handgun on the poster for the 1990 movie Blue Steel, in which she plays a police officer who carries a gun as part of her job. Of course, Curtis’s tweets, which call for gun reform and not, like, the abolishment of all firearms as a thing that should ever exist, do not also apply to her character in the film, who is trying to evade a supernatural masked murderer who has met Busta Rhymes and has been trying to kill her for 40 years. Halloween, a movie that stars a guy who simply must be in favor of stabbing people with a large knife, opens on October 19.